There's no denying that spring has sprung. The nights are getting lighter, the wildflowers are appearing in parks and gardens and I've traded beanie hat for sunglasses for the morning commute. Inspired by the colour and optimism of the season, I've decided to select six of my favourite springtime bouquets. These are bouquets which, for me anyway, really evoke the magic and good cheer of spring. 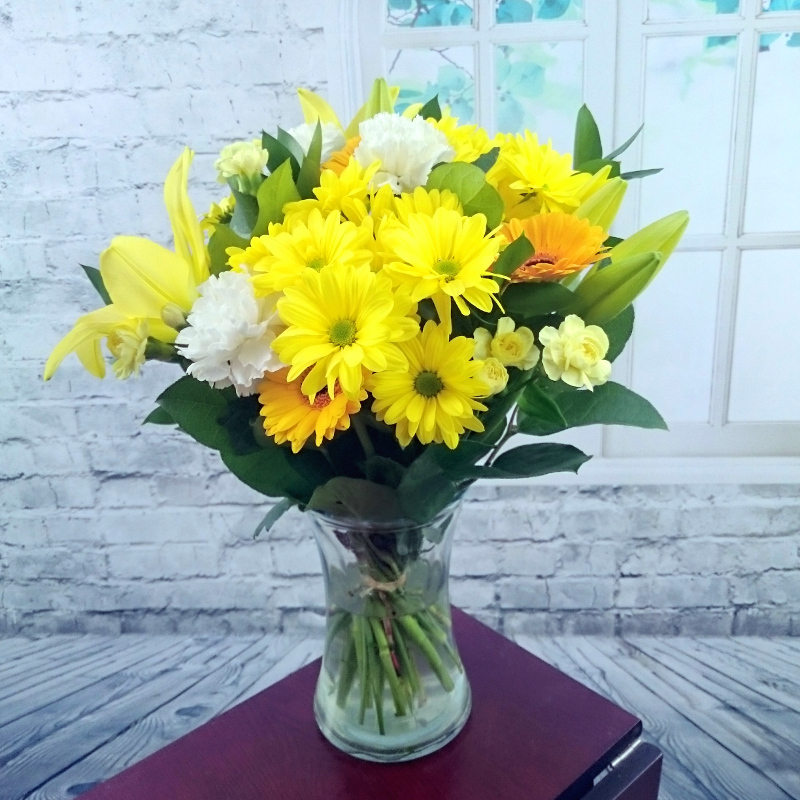 Yellow chrysanthemums, orange and yellow gerberas, white carnations and yellow lilies make up our delightful Spring Breeze bouquet, an arrangement which is brimming with warmth and sunshine. Gift to a friend for a spring birthday or use this bouquet to brighten up your kitchen, living room or dining room. With a name that conjures up waterfalls of fresh colour, the Cascade bouquet is an irresistably eye-catching affair. Designed with pink roses, lilies and white freesia, this elegant arrangement perfectly captures the magic of a sunny spring day. Time for some eastern exoticism! Created using oriental lilies alongside roses, carnations and gypsophila, the Oriental Charm is certainly a visually arresting flower arrangement. 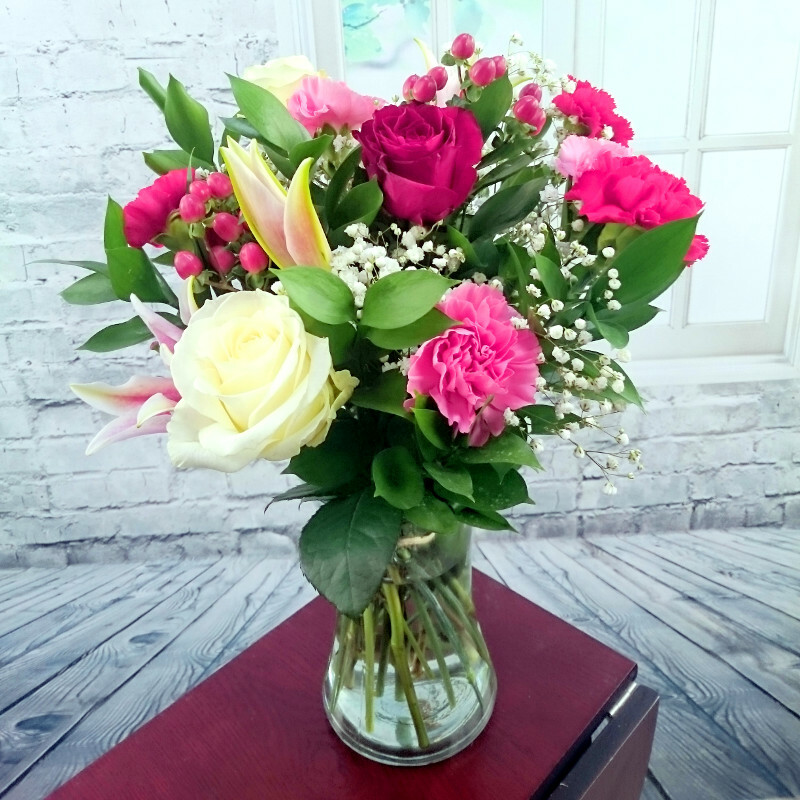 This versatile bouquet can be used for a gift in any number of situations or why not treat yourself? Nothing says springtime better than pretty pink tulips. 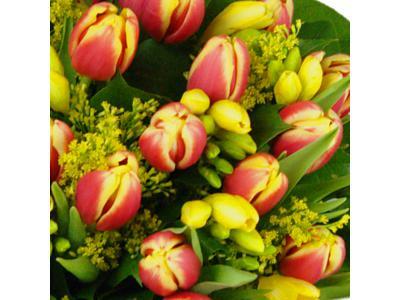 Add some fresh yellow freesia and you have this stunning Tulip and Freesia bouquet which will instantly make any setting much more colourful and welcoming. Why not send to a loved one as a spontaneous gesture of springtime kindness? 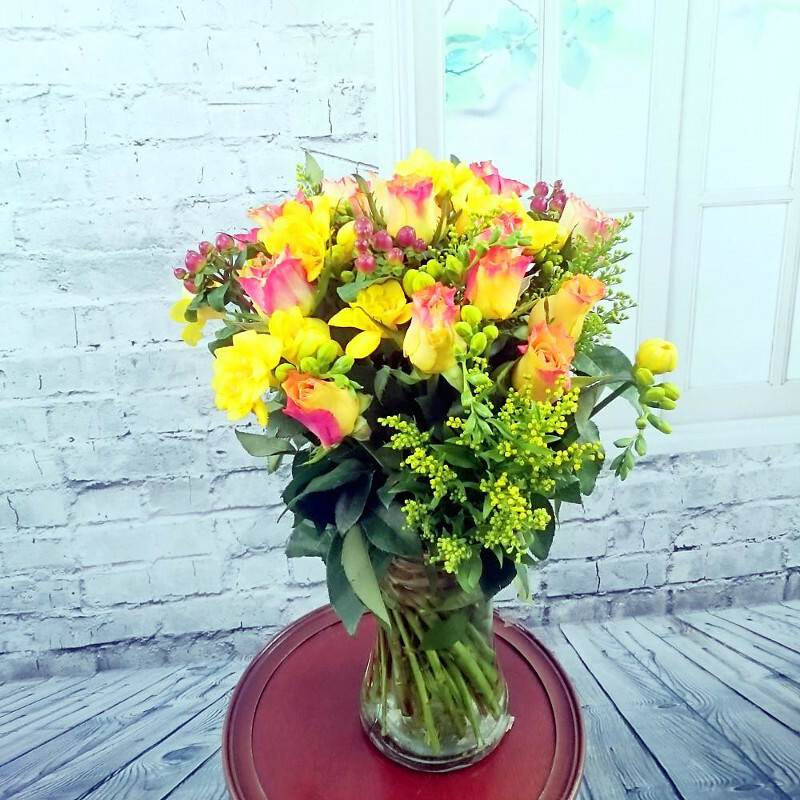 An inspired mixture of orange roses and lovely yellow freesia, this springtime bouquet is destined to bring an enormous smile to anyone lucky enough to receive it. 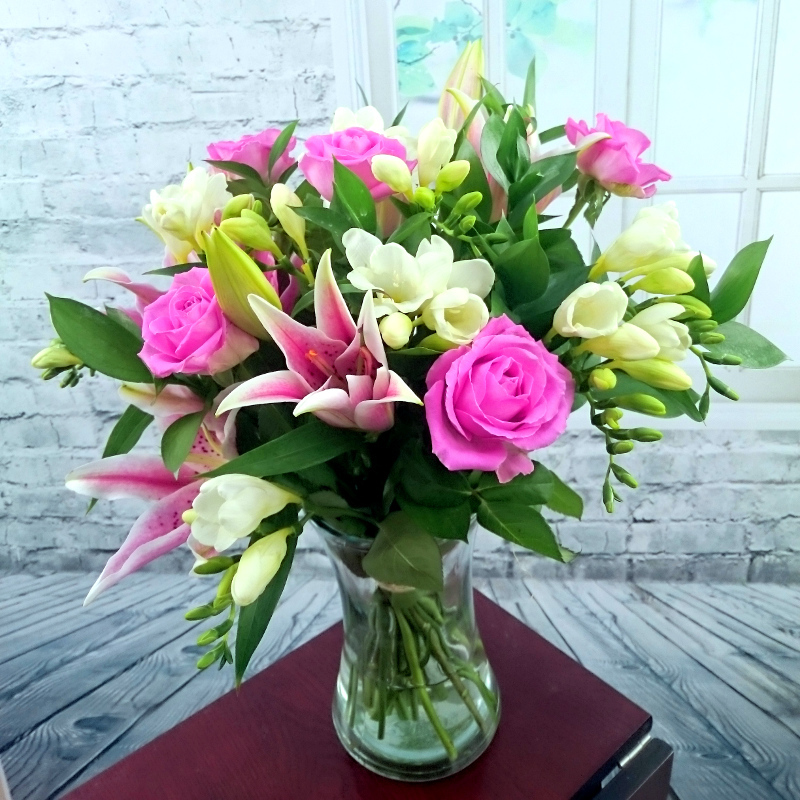 Whether it's sent as a gift or brought into your own home to bring some joy to your surroundings, the Rose and Freesia bouquet is sure to inspire good cheer. Whilst many people typically think of sunflowers as being flowers of summer, for me they are also very evocative of the feelings of buoyancy and cheerfulness of springtime. You simply can't help but be in a good mood when you catch a glimpse of our Sunflower Surprise bouquet with its vivid yellow sunflowers and pretty red hypericum.